The most important factor in preventing snow load issues is to recognize what signs to watch out for. How much weight can a roof support during a serious snowstorm? A good rule of thumb is about 20 pounds per square inch (aka removal is a good idea if accumulation climbs near 10 to 12 inches). 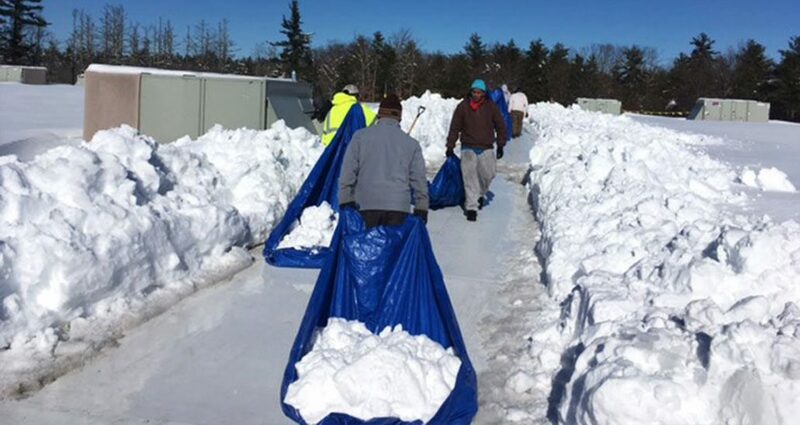 Anything heavier than that and you’re looking at potential damage or even the possibility of collapse, making flat roof snow removal an absolute necessity. What are some signs that your roof is holding more snow than is safe? If you notice any leaking, bent pipes, or new cracks in walls or ceiling, you’ll need to act quickly. The same thing goes if you realize that you’re struggling to open and close your windows and doors because they don’t seem to fit correctly. Finally, the most obvious sign of serious danger is hearing a popping or cracking sound coming from the ceiling. Such sounds could signal impending collapse, and in these cases, evacuate the building immediately. When’s the best time to prepare for snow load problems? Before they happen, of course! If you take preventative action now, you’ll end up saving yourself tons of money later. 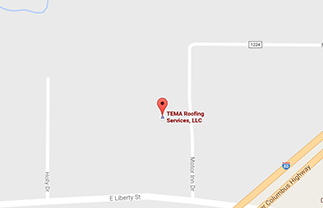 The first thing to do is get in touch with an experienced commercial roofing professional so that they can conduct a complete roof inspection on your commercial property. Remember that just because you can’t yet see the signs of trouble mentioned above, that doesn’t mean that they aren’t there. A professional can recognize the earliest indications of a problem—and stop any issues before they get worse. They can also help you to determine if your current roof type can continue to support the amount of snowfall that you’re likely to encounter based on where you live. Ask them about the best time to make a change to the type of materials or even general design of your roof to increase its overall resistance to snow. Many commercial building owners are so focused on their roofs withstanding actual snowfall that they completely overlook the very real threat of melting ice. On a flat roof, ice can build up at an alarming rate, especially when a series of storms continue to melt and refreeze the region. Additionally, high winds can allow water to penetrate the roofing surface, which can ultimately damage not only the roof itself but also everything underneath it. Of course, the best way to deal with snow load on your roof is to get as much of it off as quickly as possible. While you might think you can do it yourself, you could end up causing more damage than the snow itself, not to mention endangering yourself due to a lack of knowledge and safety materials. Instead, rely on the expertise of a professional, commercial roofing company to remove the snow and ice quickly and safely. They are often available for emergency situations, responding efficiently and preventing further damage or disaster. What are some other easy ways to prevent snow and ice damage to your business or commercial building? First, make consistent roof maintenance a part of your regular routine, and address necessary repairs as soon as possible. Second, make sure that you take the time to properly clean out your gutters, especially after a snow or rainstorm. Also, clear your downspouts of any twigs, leaves or other debris. From recognizing signs of trouble to knowing how much of a snow load a roof design can hold, we hope that this post has helped you to learn more about how to keep your building safe in a storm. Remember to watch out for the potential signs of collapse and call a professional snow removal service if you suspect trouble. Don’t try to do it yourself. Get in touch with us today to request service or to schedule a routine inspection. No matter what sort of roofing issue you’re dealing with, we want to help you to solve it as soon as possible.